One of the many things I love about vintage is it’s diversity! Whether it’s the glamour of 50s fashion, subversiveness of the 60s or mixed bag of trends from the 70s onwards, I firmly believe there’s a certain vintage style that will suit everyone! 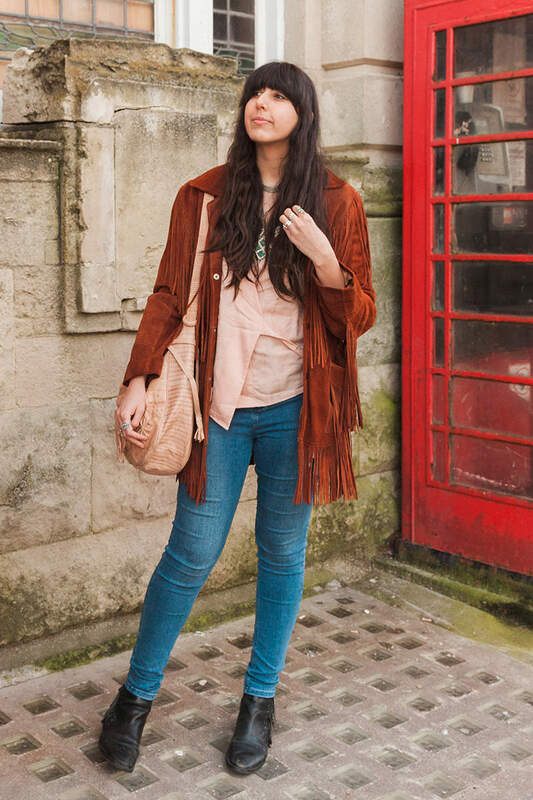 When it comes to personal style, I’m mostly inspired by the late 60s and early 70s. If I’m in a rush but still wanting to make an effort a suede fringed jacket and maxi dress are my vintage fail safes. These two are great style staples that are so easy to throw on but make all the difference to an outfit! So what do you have in the wardrobe, you ask? 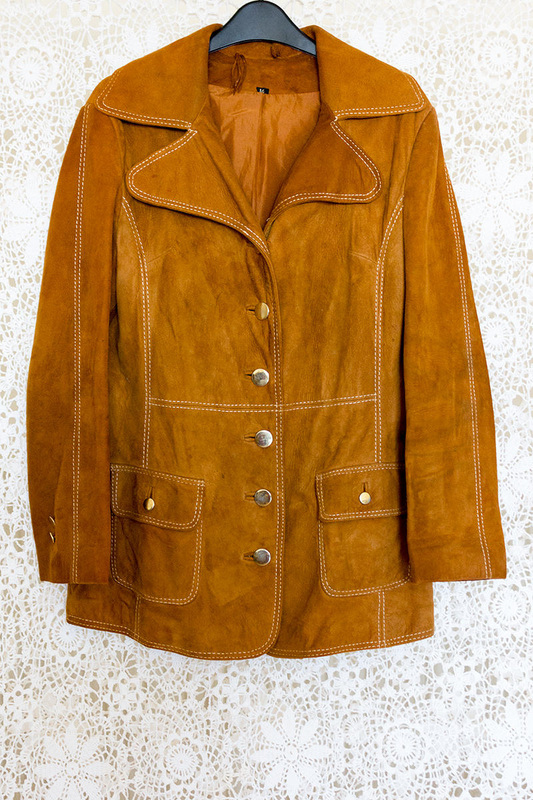 This incredible 70s suede jacket is still available. It’s definitely one of those versatile pieces that will go with everything from a lace maxi to jeans and a band tee. Find out more about this amazing jacket here. 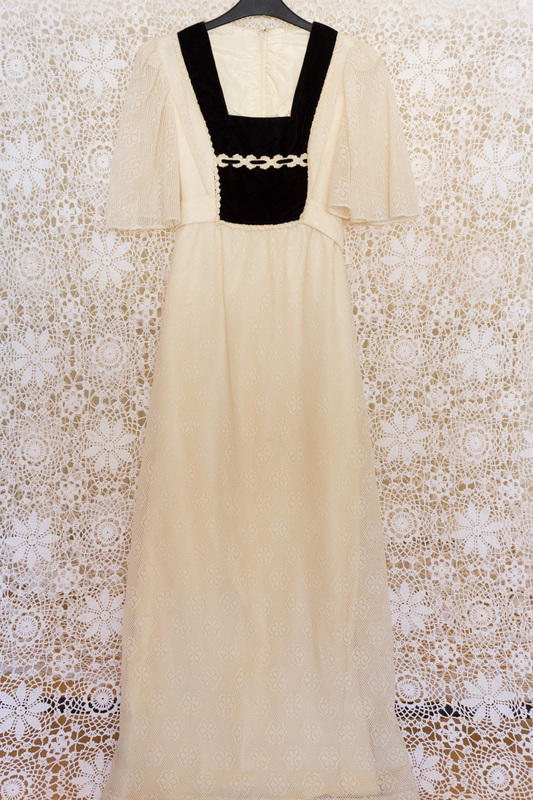 This broderie anglaise maxi dress is another timeless favourite! If it fit me, it’d be difficult to part with. 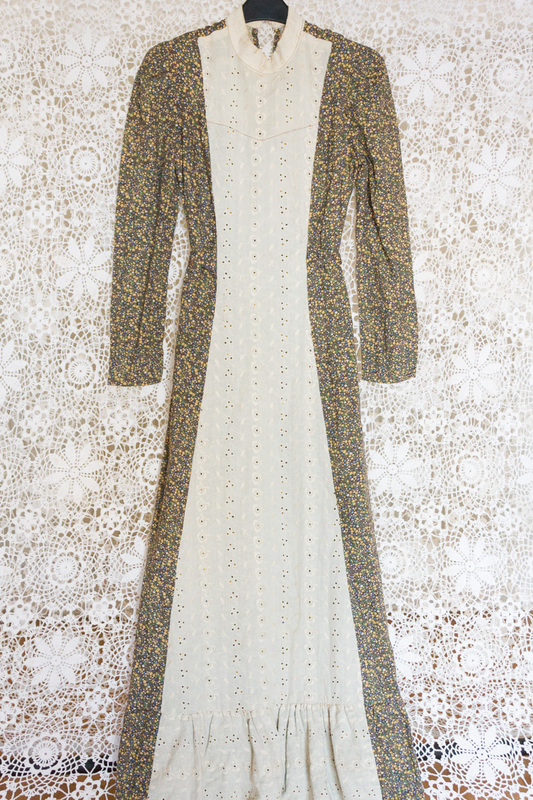 It’s also very reminiscent of The Vampire’s Wife dresses, which are definitely influenced by the iconic prairie dresses of the 70s (and it’s a much lower price tag) Shop this stunning original dress here. Here’s another ‘if it fit me, I’d be keeping it’ maxi dress. I love this one! The classic velvet and lace combination works together perfectly and with the angel sleeves, this truly is a 70s dream dress! It’s one of those that will hardly date. 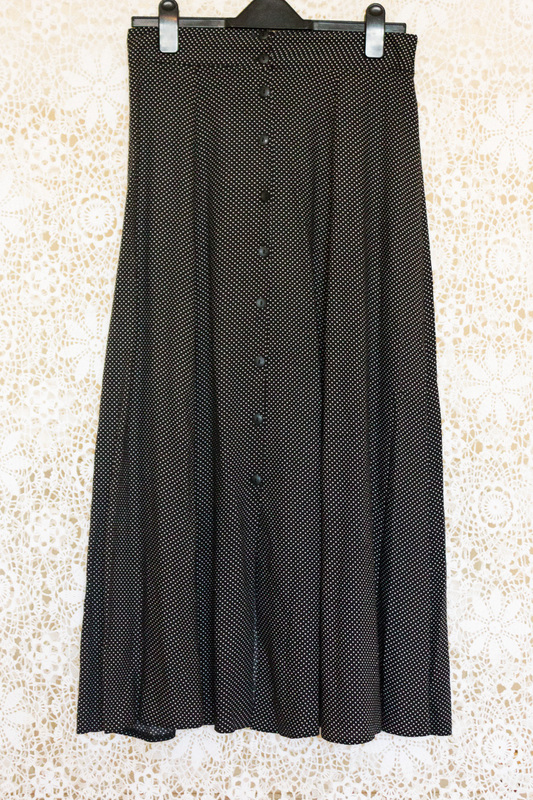 Shop this beautiful maxi here. 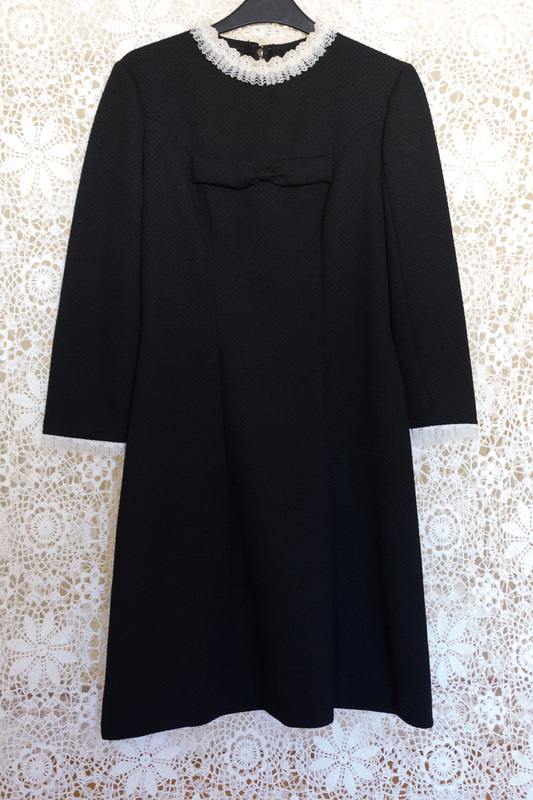 Do you have some vintage staple pieces? 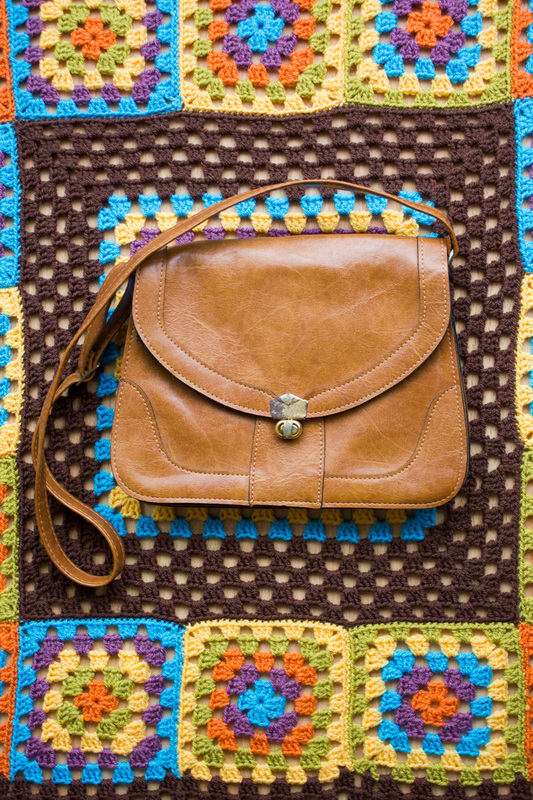 What’s your go to vintage piece that you couldn’t live without?